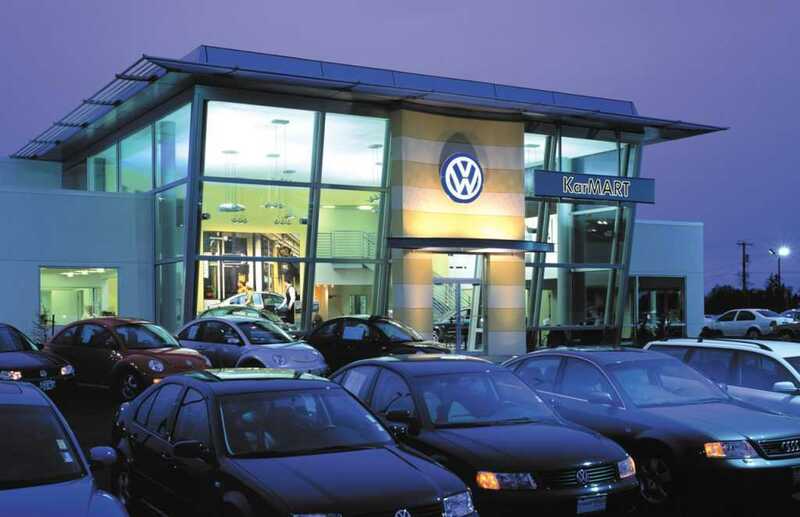 KarMart Volkswagen is a Volkswagen auto dealer and is part of the KarMart Auto Group that includes multiple dealerships throughout the Pacific Northwest. 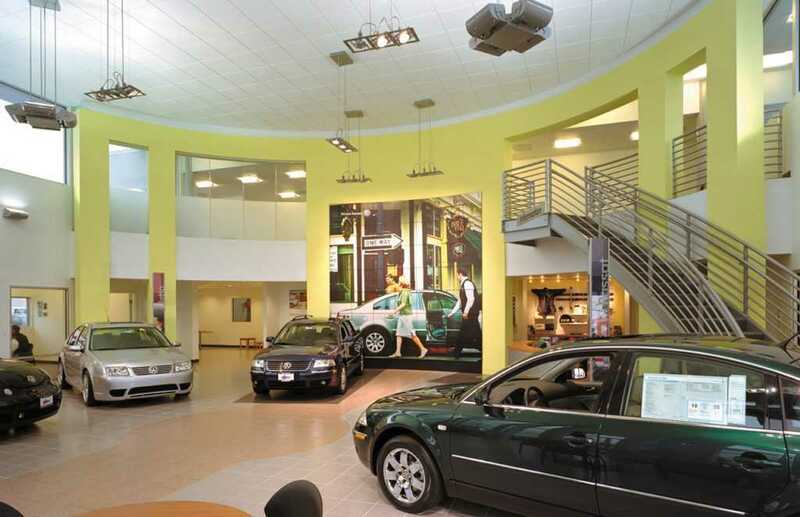 This dealership provides the latest technology in sales and service. It is situated on a 4-acre site near 1-5 in Burlington, Washington. 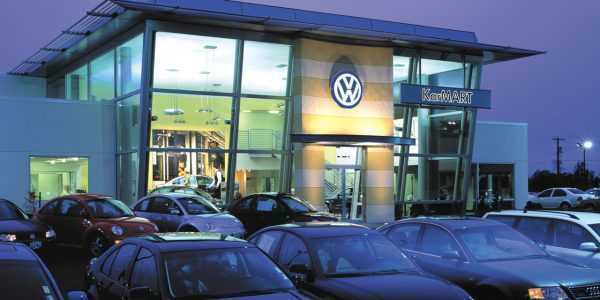 Fisher’s design team worked with the strict building design guidelines to create a contemporary structure which showcases VW’s modern new look. The structure includes an interior freestanding staircase, curved focal wall, exterior sunshades, a glass entry portal and showroom light fixtures, as well as insulated curtain walls and structural steel framing angled from the vertical entry. 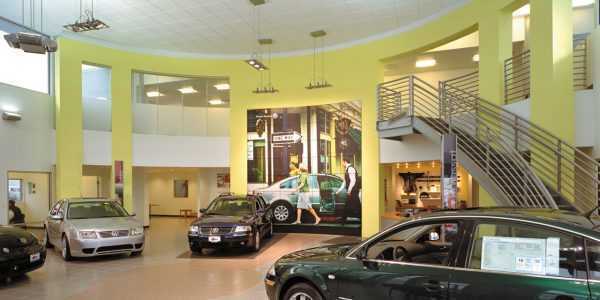 In addition to the unique sales area features, the maintenance building has an in-ground vehicle exhaust system, a wash bay and view windows for the customers to see their vehicles while being serviced. Construction was completed in just five months.